“Premises liability” is a legal term that refers to accidents where someone is hurt or injured on someone else’s physical property. This can include a business, retail establishment, restaurant, and even homeowners. The most common lawsuit filed under premises liability is commonly referred to as a “slip and fall” accident. Slip and fall cases are accidents where someone slips because of an unsafe or hazardous premise and falls resulting in bodily harm or injury. Slip and fall cases can be extremely troublesome, often resulting in lost wages or permanent disability. For some people, slip and fall cases can even result in death. For example, consider an elderly person who might break a hip, where a younger person could break an arm. In severe cases, paralysis or death can result. Our Birmingham, Alabama slip and fall accident attorneys are trained to recognize and understand the elements of these cases. Their goal is to help you achieve the best possible outcome for your case. Why Do I Need a Slip and Fall Accident Lawyer? When you have suffered injuries in a slip and fall accident, you should know that the property owner and their insurance company are extremely likely to argue that the accident was the result of your own negligence. You should probably prepare for a fight, but you do not need to face it by yourself. Farris, Riley & Pitt, LLP can conduct an independent investigation of your accident and make sure to seize all critical evidence relating to your incident. We know how to prove a property owner’s negligence and will work tirelessly to make sure that you recover all of the compensation you need and deserve. If you try to handle your case by yourself, the insurer for the property owner may offer a settlement that is almost certain to be far less than what you are entitled to. The insurance company could also very well offer you nothing at all. By hiring Farris, Riley & Pitt, LLP, you can spare yourself the struggle of dealing with an insurer. We will handle all communications and negotiations with them on your behalf, and our firm will be willing to file a lawsuit if the insurer refuses to provide adequate compensation. You also do not need to have any concerns about how you will be able to afford a lawyer, as Farris, Riley & Pitt, LLP represents clients on a contingency fee basis. This means that we do not charge you anything upfront, as we only collect a payment when you receive a financial award. 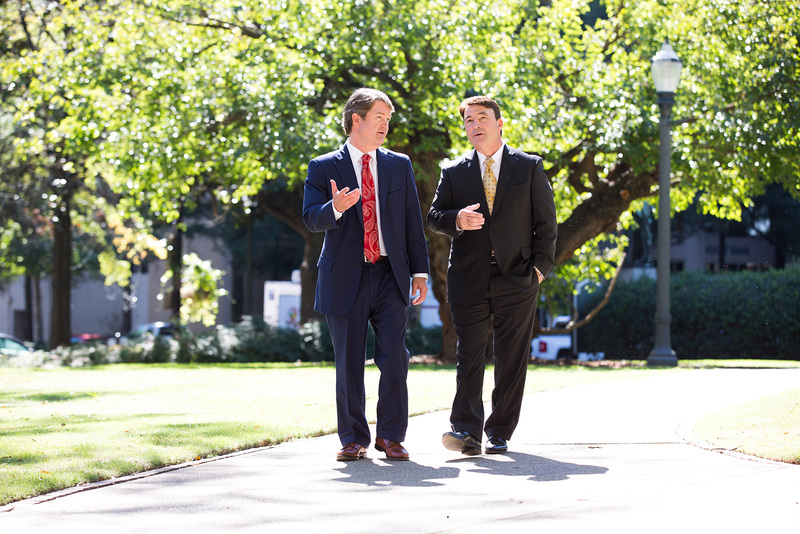 The Birmingham plaintiff’s attorneys at Farris, Riley & Pitt, LLP have represented numerous clients who were involved in slip and fall accidents. The firm recently represented an injured woman who fell on a wet floor in a large supermarket because the floors were not properly labeled with a “slippery floor” sign. Similarly, we represented another client who tripped and fell on a bulging piece of cracked concrete while leaving a commercial business. After having to undergo back surgery as a result of the fall, our client was out of work for months and lost wages and time off from work. The slip and fall attorneys at Farris, Riley & Pitt, LLP were able to recover compensation for his injury and time off from work. What to do after a slip and fall accident will differ slightly depending on whether your accident occurred in a public place or on private property. In a slip and fall accident in a public place, such as a business, you should be sure to file a report with the manager or supervisor. Ask for a copy of the report. Certain types of businesses are especially common locations for slip and fall accidents. Restaurants, grocery stores, hotels, and other retail establishments regularly deal with slip and fall claims. When a slip and fall accident occurs on private property, you cannot file such a report. It is in your best interest to minimize conversation with the property owner. You will want to quickly seek legal representation for help determining how to proceed with your case. It is important to keep in mind that Alabama places a statute of limitations of two years on all injury claims. This same statute of limitations also applies to wrongful death actions. Because a slip and fall accident can require an investigation before negotiations with an insurance company can begin, it is in a victim’s best interest to quickly retain legal counsel. Again, it is incredibly common for property owners and insurers to argue that these types of accidents were the result of a victim’s own negligence. They may attempt to take your words or actions out of context to use against you, making it very difficult to deal with them yourself. The phrase contributory negligence refers to any negligence on the part of the victim that proximately contributes to their injury. Alabama is one of only five states in the nation that allows defendants to use this affirmative defense, but when successfully proven, the defense completely bars the victim from recovering any damages. Under contributory negligence, the victim will be prohibited from seeking damages if the victim is found to be even slightly at fault for their injuries. Contributory negligence is the biggest reason why you should avoid speaking about your accident to anybody—especially the negligent party’s insurance company—after your accident. Instead, you should contact Farris, Riley & Pitt, LLP as soon as possible. Even if you do not think that you were hurt, it is in your best interest to make sure you immediately receive medical care. Doctors can ensure that you did not suffer a serious injury with delayed symptoms, and a record of medical treatment immediately after the accident can often help your injury claim. Another important step is to photograph the particular hazard that caused your accident. When the property owner is a business, it will usually act very quickly to correct the dangerous condition and remove the evidence. If anybody saw your accident, make sure to get their contact information, as such witnesses can provide valuable third party accounts of what actually occurred. Finally, do not speak to any insurance company until you have legal representation. If my slip and fall accident occurred at my workplace, can I sue my employer? No. All injuries in workplaces in Alabama are governed by state workers’ compensation laws, which prohibit people from filing lawsuits against their employers. The Consumer Product Safety Commission (CPSC) reported that floors and flooring materials are involved with more than 2 million fall injuries annually. According to the Centers for Disease Control and Prevention (CDC), nearly 30,000 people over the age of 65 died as a result of falls in the U.S. in 2016. Approximately 3 million people in the same age group were treated in emergency rooms for falls. The National Floor Safety Institute (NFSI) reported that one of every three persons over the age of 65 will experience a fall every year in the United States. Half of these victims are repeat fallers. According to the NSFI, falls are the second-leading cause of injury-related death for people between the ages of 65 and 84, but are the leading cause of injury-related death for those who are 85 years of age or older. The NSFI reported that 60 percent of deaths associated with falls involved people 75 years of age or older. Falls account for 87 percent of all fractures among people over 65 years of age and are the second-leading cause of spinal cord and brain injury, according to the NSFI. They also represent the sixth-leading cause of death among people 70 years of age or older and 40 percent of all nursing home admissions. More than 60 percent of nursing homes residents fall each year, and 67 percent of fall fatalities involve people 75 years of age or older. The National Institute on Aging reported that 30 percent of people over the age of 65 will sustain a fall every year, and 10 percent of these cases result in serious injuries. According to the NSFI, falls were the leading cause of emergency room visits, with more than 8 million or 21.3 percent. Slips and falls specifically accounted for more than 1 million visits, or 12 percent. The most serious type of injury in these types of cases was fracture, which occurred in 5 percent of cases. The NFSI reported that slips and falls are the primary cause of lost days from work and the leading cause of workers’ compensation claims and occupational injury for people 55 years of age or older. According to Industrial Safety & Occupational Health Markets 5th edition, 85 percent of workers’ compensation claims are attributed to employees slipping on slick floors. The National Safety Council (NSC) reported that employee slip and fall accidents are associated with approximately $70 billion in compensation and medical costs every year. For more than two decades, Farris, Riley & Pitt, LLP has fought to get justice for slip and fall accident victims. Our firm understands what needs to be proven to be successful with these types of claims, and we will diligently work to make sure that a property owner is held accountable for their negligence. If you or your loved one sustained serious injuries in a slip and fall accident in the greater Birmingham area, make sure you contact Farris, Riley & Pitt, LLP. You can have our lawyers review your case and answer all of your legal questions when you call (205) 324-1212 or contact us online to schedule a free consultation.